The audio and Word document versions of our current newsletter for autumn 2018 covering the period from early October to late February 2018 are now available. The audio version was recorded in mid-September, so we strongly recommend that you visit What’s On for the most up-to-date information on audio-described performances and events. You can download the Word Doc version here and the audio version is split into a number of tracks, embedded below. The newsletter is also available in Braille, email and in clear print. 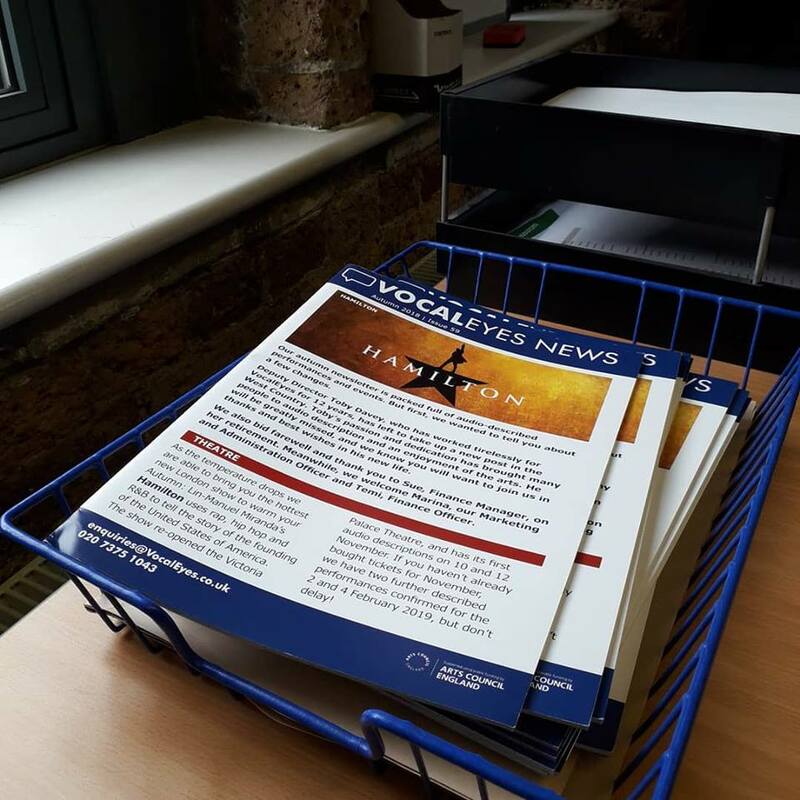 If you would like to receive the newsletter in any of these formats, please contact us by emailing enquiries@vocaleyes.co.uk or calling the office on 020 7375 1043.